What do you think of the new Rolex, the "Rolex Private Jet"? It's similar in size and features to the Submariner, with two main differences: It comes only in a gold case, and—this is a first in the watch industry—the Private Jet's price is printed on the watch face at the 6 o'clock position where "Swiss Made" used to be. 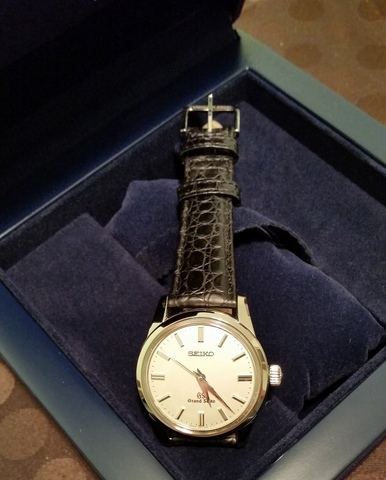 "Swiss Made" has been moved to the 12 o'clock position. 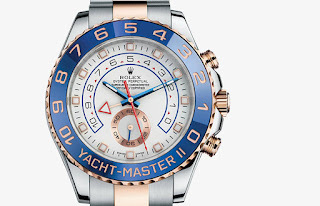 five times what the Rolex Yacht-Master costs. "The Private Jet isn't just for anybody. The Rolex Private Jet is for the successful individual who not only can afford a Rolex, but also wants coworkers, colleagues, and infrequently seen relatives to know that he can afford a Rolex and have cash left over. Wealth, prestige, and status matter in life, and when you wear the Rolex Private Jet everyone who sees your watch—and how can they miss it—will know that you have all those envious qualities. You're not just somebody when you wear the Rolex Private Jet—you're somebody rich and important." Pricing hasn't been announced yet.